◆ Especially designed for drilling tiny holes. 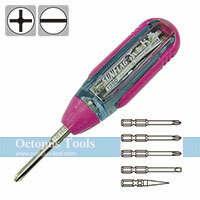 ◆ 3-jaw hardened steel keyless chuck provides firm grip on small tools such as small drills, wires etc. 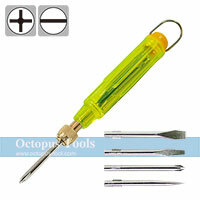 ◆ Ergonomic plastic handle, easy to hold. 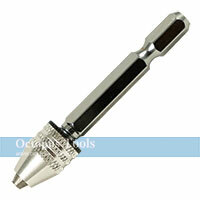 ◆ This miniature drill is mainly used for the materials of wood, resin, jewelry etc. 1. 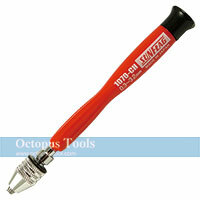 Especially designed for drilling tiny holes, do not overload. 2. Turn until tight before use. 3. Do not use with electricity. 5. 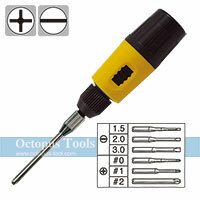 Do not modify this product without permittion. 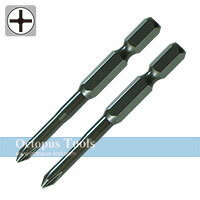 ◆ Bits included are Slotted 3mm*1, Slotted 5mm*1, Philips #1*1, Philips #2*1, and gimlet*1. 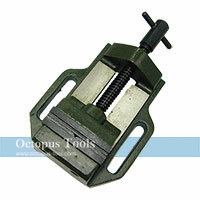 ◆ Specially-designed jaws can hold slim plate, round stick, or other special shapes. ◆ Bits included are Slotted 4.5mm*1, Philips #0*1, Philips #1*1, Philips #2*1, and gimlet*1. ◆ Bits are in 65mm long and gimlet is in 50mm long. 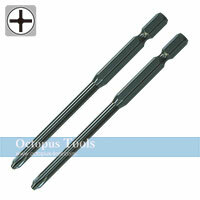 ◆ Please inform our sales team at trading@octopus.com.tw on the sizes you need when placing the order.